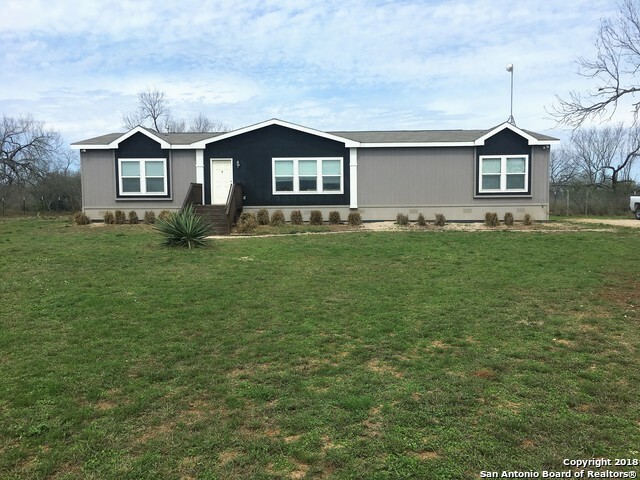 All Hondo homes currently listed for sale in Hondo as of 04/23/2019 are shown below. You can change the search criteria at any time by pressing the 'Change Search' button below. 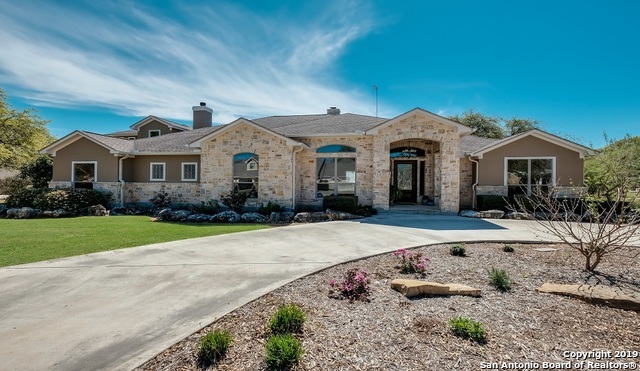 If you have any questions or you would like more information about any Hondo homes for sale or other Hondo real estate, please contact us and one of our knowledgeable Hondo REALTORS® would be pleased to assist you. "200 Acre Ranch Wildlife exempt, residential/recreational Hunting Heaven! Exquisite 4000 sqft hill-top custom home w/views! Superior craftsmanship through-out w/opulent amenities, gourmet kitchen, granite, custom woodwork, spectacular vaulted living & dining, full windows, fireplace, stained concrete floors. Prominent master, luxurious bath & closet, loft w/balcony as 3rd bed. 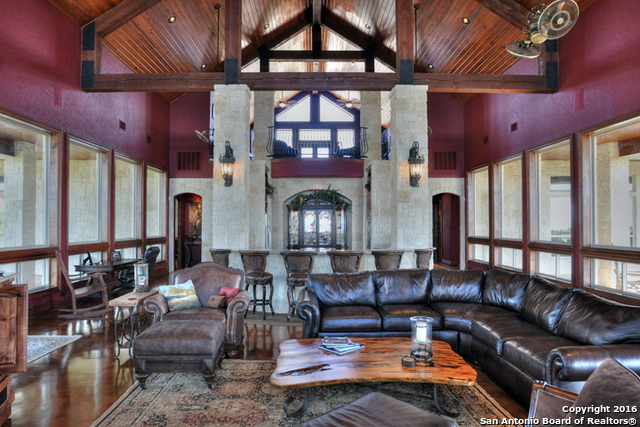 4000 sqft covered walk-around porch, covered outdoor kitchen, bar, dining & fire-ring. Elec gate entry. Great WILDLIFE h"
"What an amazing home! From the main residence to the guest home, everything is first class. The home, built in 2008, is located about 4 miles north of Hondo, in the quiet and peaceful Lacy Crossing Subdivision. The home consists of 3 bedrooms, 4 bathrooms, an office, 2 living areas, kitchen, dining room, laundry room, and game room. The master bedroom, set apart from the other bedrooms, opens out to the oversized pool and hot tub." "30+/- ACRES OF LAND (APPROX. 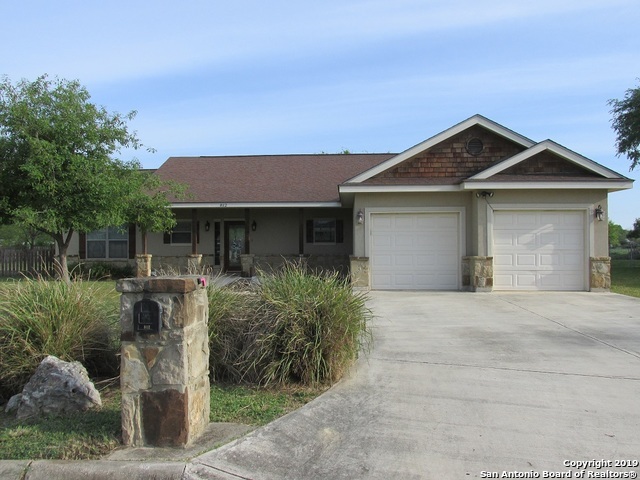 12 MI NE OF HONDO) WITH BEAUTIFUL HILL COUNTRY TYPE HOME FEATURING 4BR/3BA & 3275 S.F. OF LIVING AREA BUILT IN 2005. GUEST SUITE, OPEN FLOOR PLAN, TWO DINING AREAS, LARGE BEDROOMS, HIGH CEILINGS, SCREENED IN FLORIDA ROOM, DETACHED HOT TUB ROOM, DETACHED 2-CAR GARAGE, FENCED YARD, NICE LANDSCAPING. LARGE METAL STORAGE BUILDING/BARN WITH CONCRETE FLOOR, SECOND 2100 S.F., 3BR/2BA DW MANU HOME IN GOOD CONDITION. PRIVATE WELL. 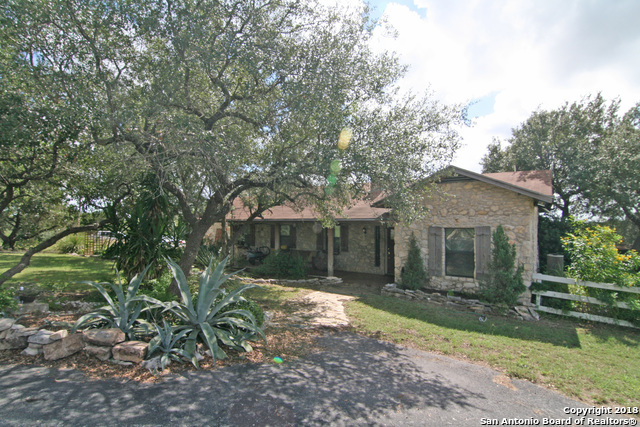 LOTS OF LIVE OAK TREES, EXCELLENT HUNTIN"
"BEAUTIFUL 4BR/2.5BA, 2772 S.F. HOME IN SMALL SUBDIVISION (ONLY 12 HOMES) 5 MILES NORTH OF HONDO. HUGE 1.3 ACRE LOT WITH LARGE LIVE OAK TREES. MODERN AMENITIES THROUGHOUT THE HOME, HIGH CEILINGS, OPEN FLOOR PLAN. NICE COVERED BACK PORCH WITH ROCK FIREPLACE. WHOLE HOUSE WATER FILTRATION SYSTEM. LARGE COVERED CARPORT W/ ATTACHED STORAGE." 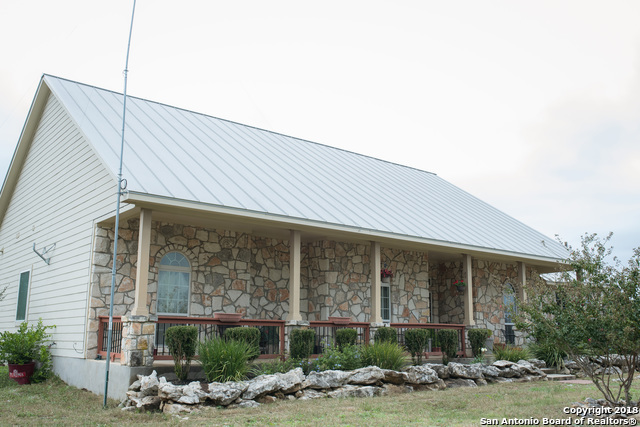 "This hill country home is located on a 20 acre wooded tract which is fenced with a small exception at the front. The home was built in 2004 and is 2053 s.f. living area (per MCAD) with 3 bedrooms and 2 baths. Home has composition shingle roof, paved driveway, large back porch, stained patio, an above ground swimming pool, large wooden deck, gazebo, 2 sheds and an enclosed coral. 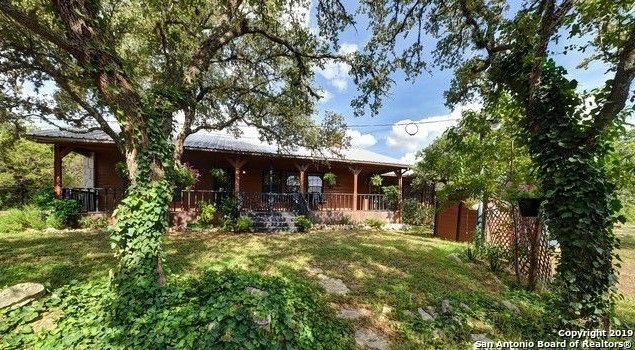 Great hill country views and privacy. There is some deferred maintenance. Home is being sold As is." "Located within walking distance to the elementary, intermediate and middle school, this charming four bed room three bath home has been extensively updated. With nearly 3,100 square feet of living space, this lovingly and meticulously maintained home boast wood and tile floors, spacious living areas and a beautifully landscaped yard." 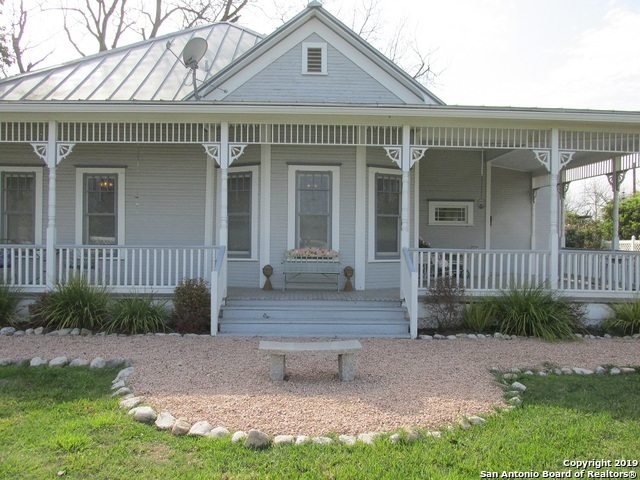 "Conveniently located in downtown, this historic home is one of the oldest known in Hondo, Texas. Built in the late 1800's, this Victorian style home was a stagecoach stop and residence to a Captain of the CSA. Recently, it has been restored, to its original condition and then some! The history coupled with added modern conveniences provides a uniqueness unmatched." "OWNER MUST SELL! NICE 3BR/3BA, 2294 S.F. HOME ON 24+ ACRES. MANY EXTRA FEATURES, LARGE WOODEN DECK, POLE BARN W/ HORSE STALLS, SHOP, EQUIPMENT STORAGE, PAVED PARKING AREA. NICE STOCK POND FOR FISHING, VERY GOOD HUNTING. MANY OUTBUILDINGS FOR MULTIPLE PURPOSES. REMOTE CONTROL ENTRY GATE. MUCH MORE!" "Do you want to get out of the city! if you're looking for a secluded place of your own with tranquil living. THIS IS IT! Hunting without leaving home. Stargazing. Peaceful Quiet, no vehicle noise. Just the sounds of nature. 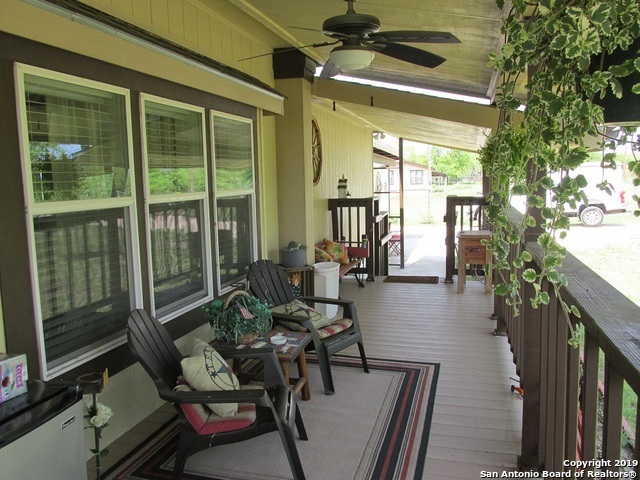 This 3 bdrm 2 bth w/study, home is on 30 acres offering country living. Drive out 45 mins west of San Antonio to see this amazing piece of property. Gravel road is rough small cars are not recommended." 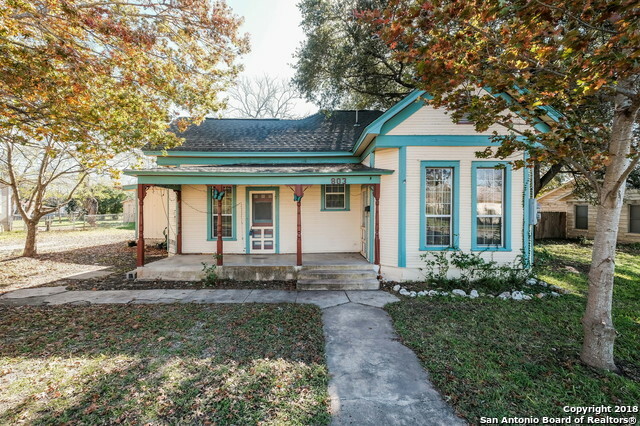 "BEAUTIFULLY MAINTAINED/UPDATED TURN OF THE CENTURY (BUILT 1909) HOME IN HONDO. 2BR/2BA, 1886 S.F. MAIN HOUSE W/ LARGE WRAP AROUND PORCH, 1BR/1BA GUEST HOUSE CRAFT SHED, ORIGINAL 1 CAR GARAGE/STORAGE BLDG CONVERTED INTO OFFICE, COVERED PARKING FOR 4 CARS. BEAUTIFULLY LANDSCAPED YARD WITH DRIP IRRIGATION. DOG RUN/PEN. THIS IS A PLACE THAT MUST BE SEEN TO FULLY APPRECIATE." "Stunning VIEWS for long, long distances from this elevated ranch-style home. Full-length, covered front porch begs for gentle rain & hot cup of coffee. Rock fireplace w/built-ins on each side, split floor plan with open kitchen, living & breakfast room. Walk-in pantry and over-sized laundry room for country living. Currently, there are dual masters on each end of the house, but replace the wall and you'll have a 3-bedroom house, again. Outside: well house, carport, chicken coop, H20 storage, loa"
"*OPEN HOUSE 4/7 1-4* Look no further for outdoor entertainment. 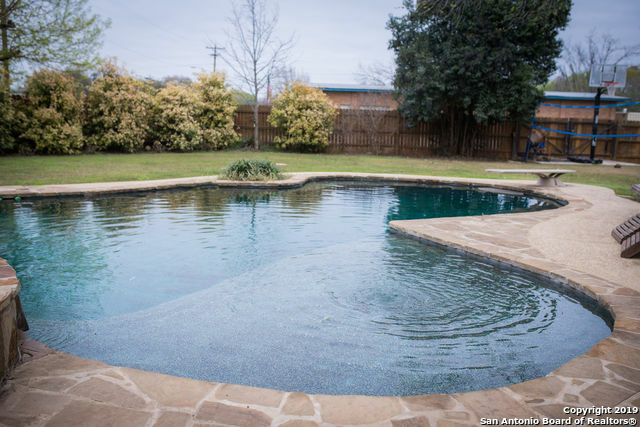 With custom designed in-ground pool/spa, covered 24x24 patio, privacy fence and sprinkler system, this yard is set up nicely. Fully updated, open concept 3/2 including new quartz countertops, large secondary bedrooms and walk-in closets. This home is gorgeous and ready for move in!" "30 Acres with a cabin! Great getaway from the city. Off the beaten path, seclusion, trees, front porch for sunsets, firepit for star viewing and cozy woodstove inside. Half way between Tarpley and Hondo, rustic cabin with a metal roof, storage building and well house. Very private, wildlife galore. Partially fenced. Exterior has been painted and new flooring is installed and is ready for new owner to enjoy." "This is a great modular home with several areas to build on if that is what you want to do. Plenty of area to raise livestock, etc. The home has an open floor plan with nice sized bedrooms. Kitchen has an island, plenty of storage,counter space and opens to family room and dining room. Large master and master bath with double vanities, soaking tub and separate shower. There are out buildings for animals or storage plus it is fenced and cross fenced." "This 3 Bedroom, 2 Bath home features a spacious living area with high ceilings, separate dining room and eat in kitchen. Built in 1997, this house has a large master bedroom with full attached bath and walk-in closet. 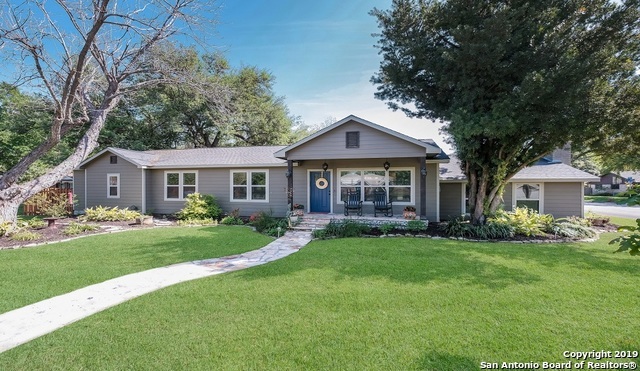 Home sits on a large lot with mature trees and a yard perfect for entertaining, with covered porch and extended patio that connects to a beautiful in-ground pool. Back yard also includes a 12' X 8' storage building, privacy wood fence and separate dog run. Within walking distance "
"VERY NICE 3BR/2BA HOME ON CUL DE SAC WITH ATTACHED GARAGE, LARGE MASTER SUITE, OPEN FLOOR PLAN. LARGE BACK YARD. BEAUTIFULLY LANDSCAPED." "LARGE 4BR/2BA, 2022 S.F. HOME ON CORNER LOT IN HONDO. UPDATED KITCHEN WITH APPLIANCES. ATTACHED ONE CAR GARAGE WITH NEW AUTOMATIC OPENER. HUGE CORNER LOT WITH MATURE TREES. QUIET NEIGHBORHOOD." 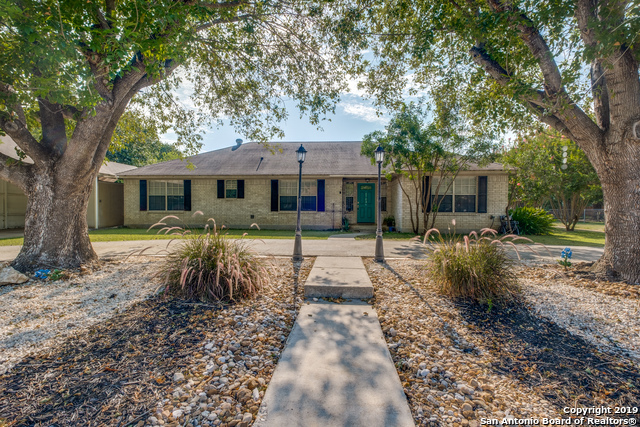 "*OPEN HOUSE 4/13 10-12* Charming, large corner lot home with amazing curb appeal. This 3/2 boasts original hardwood floors, gorgeous updated kitchen with custom cabinets and 2 living spaces as well as 2 eating spaces. 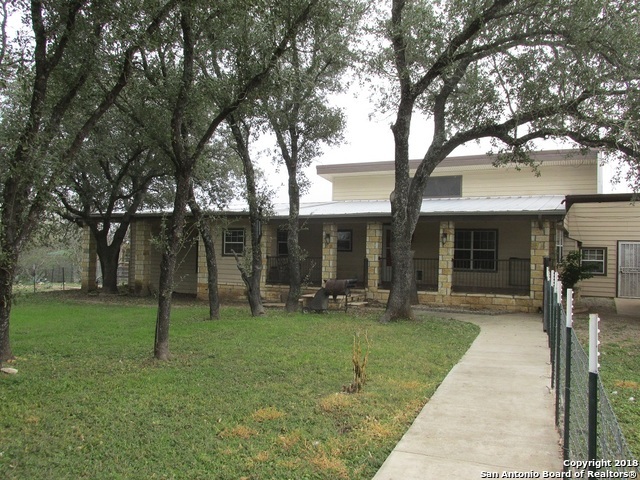 Outdoor living at it's finest with a privacy fence, mature trees and covered patio. The new covered carport is so convenient as well as a garage and storage area in the back. Come see this beauty!!" 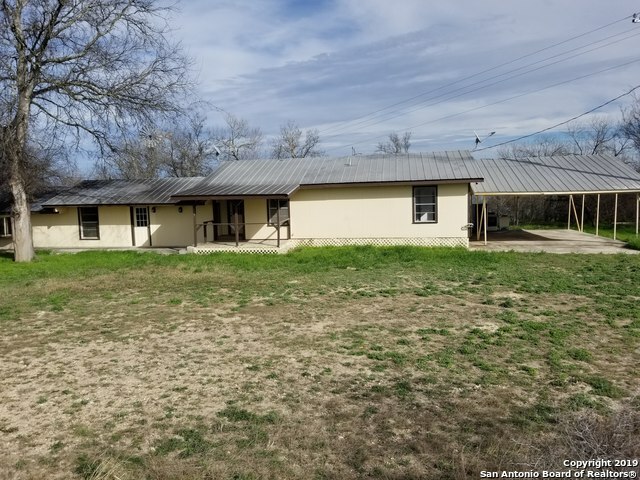 "This is a very nice property off of a paved county road, close to Hondo and Yancey and minutes to IH-35. The land offers ag use exemption, grazing, and a beautifully landscaped yard." "VERY NICE 4BR/2.5BA, 2184 S.F. DW (SOLITAIRE) HOME ON 1.2 ACRE LOT IN QUIHI. LARGE LIVING ROOM W/ FIREPLACE, SPACIOUS KITCHEN W/ ALL APPLIANCES CONVEYING TO NEW OWNER. ATTACHED FRONT AND BACK COVERED PORCHES/PATIO. DETACHED STEEL FRAME, 2-CAR CARPORT ON CONCRETE. WORK SHOP OUTBUILDING, SEVERAL OTHER STORAGE BUILDINGS, GREEN HOUSE. EXCELLENT FENCING, LANDSCAPED, FLOWER GARDEN. THIS ENTIRE PROPERTY HAS BEEN IMPECCABLY MAINTAINED. NO FLOOD PLAIN." "Country living at its best! Secluded and quiet with hilltop views. Nestled on 1.4 acres this 2 story home boasts 4 bedrooms, 2.5 baths with Master down. Large and open Island Kitchen with plenty of dining space. Large master suite with walk-in closet and garden tub. Loft upstairs with 3 additional bedrooms. Enclosed back patio, great for entertaining. 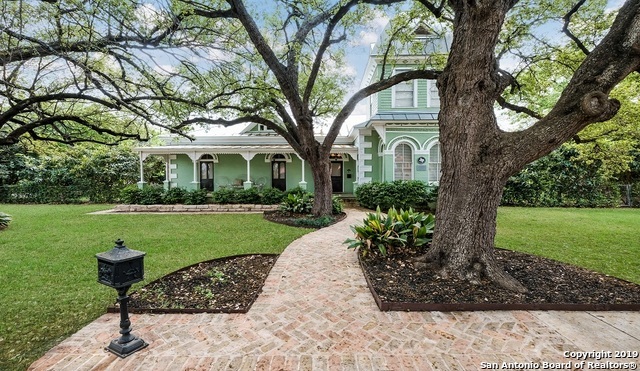 View this home today and enjoy the Bluebonnets in full bloom!" 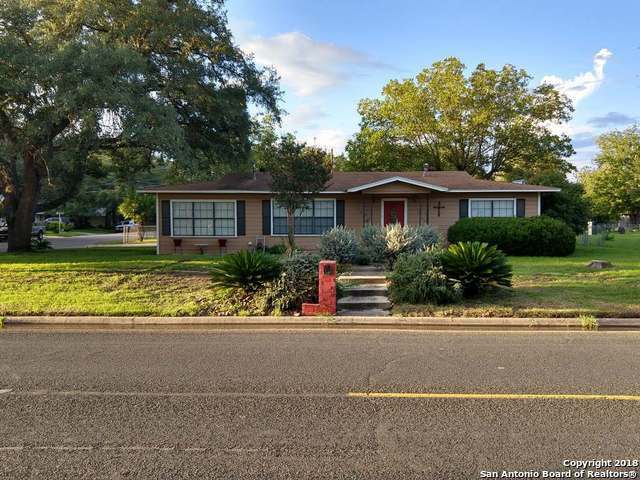 "Nice corner double lot with mature Pecan and Oak trees. There are 3 bedrooms, 2 baths, a combination living room and dining room as well as a second living area. Bathrooms have been updated with nice tile and granite countertops. The large back yard is chain link fenced with a covered patio and nice storage/workshop near the rear of the property. This is a move-in ready home with lots of room!!" 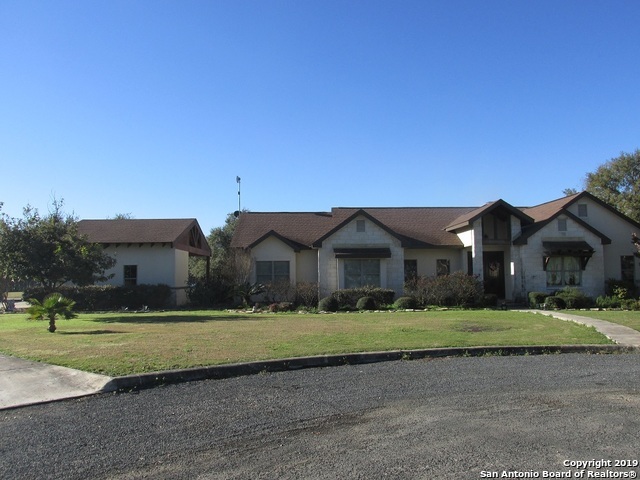 "2560 Sqft home on 5.88 acres. 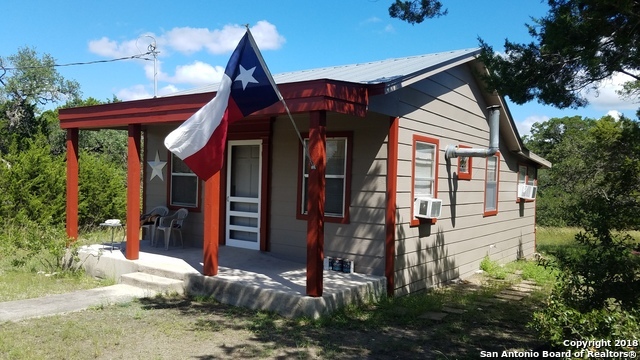 Perfect access to highway 90 and only minutes from Hondo. The property features metal barn and two storage sheds." 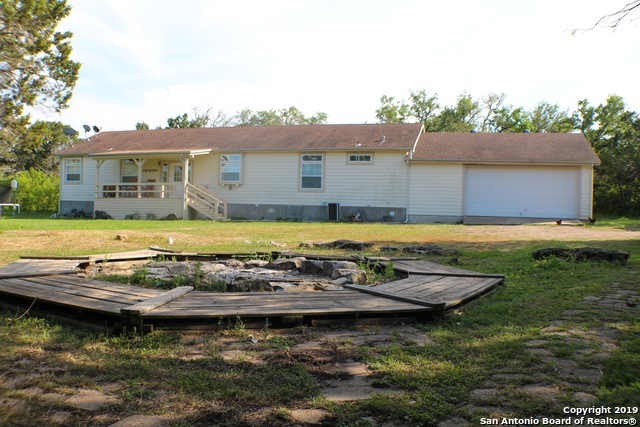 "What a great home with lots of potential in Hondo! This home could easily be set up as 4 bedrooms in the main house and convert space in the HUGE workshop to more living spaces. Recently installed HVAC system. Original wood floors in most of the areas. HUGE family room that could also be converted to more bedrooms. So many possibilities! Don't miss the HUGE workshop/garage in the backyard. There are Pecan, Lemon and Fig trees in the spacious backyard. Home being sold As is."